"I tell my students if they want to be average then listen to me, do your work and go on your way. If you want to be above average, then tap into people who have the knowledge and are willing to share. And if you are serious, one of the best investments you can make is to go to www.HydraulicSupermarket.com." My name is Brendan Casey and I am the founder of HydraulicSupermarket.com, THE source for how to and money-saving information on hydraulics and pneumatics. Since 2000 I've been helping hydraulic equipment users increase their knowledge and reduce their equipment operating costs, by thousands of dollars, and in some cases, hundreds of thousands of dollars every year. My newsletter, books, ebooks, videos and seminars have worked for tens of thousands of hydraulics users all over the world. And if you use them as described, I guarantee they will work for you too, or your money back. 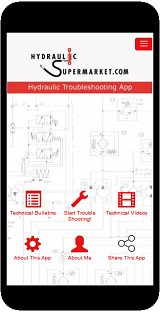 So whether you want to improve your knowledge of hydraulics or learn how to reduce your hydraulic equipment operating costs, start TODAY by downloading my FREE report: 'Six Costly Mistakes Most Hydraulics Users Make... And How YOU Can Avoid Them'. It could save you or the company you work for a small fortune!